Our Real Estate Practice Group is well-versed in drafting and preparing Sale and Purchase Agreements and has vast experience in sub-sale transactions for both landed and non-landed properties and mixed developments. We are committed to delivering efficient and effective legal solutions in all forms of property transactions. 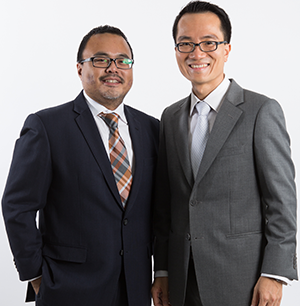 Our lawyers also play an active role in advising the purchasers of Developers’ projects and preparing the relevant documents for financial loan applications with major banking institutions in Malaysia. We are on the panel of a large number of banks as well as financial institutions and we have recently been appointed as a panel law firm for Lembaga Pembiayaan Perumahan Sektor Awam (LPPSA). On an international level, we have advised numerous international companies including major conglomerates from China and Indonesia. We have also advised clients from Singapore, the United Kingdom and Australia.